Next time you need to say, ‘Congrats’, ‘Thank you’, ‘Well done’, or ‘I’m sorry’, give one of these florists in Hong Kong a call. Many are fantastic for weddings and large events and they all do individual bouquets too. We could spend hours on their Instagram accounts so apologies in advance if you also fall down the rabbit hole. Floral Designer Gemma worked at Alexander McQueen and Burberry before changing her medium from fabric to flowers. She famously transformed the Pawn’s rooftop into a secret garden for an event and also works closely with editors in Hong Kong and LA to bring their ideas to life. Hayden Blest is perfect if you need a pro who can combine fashion and floristry to produce events, installations, backdrops, sets or just a one-off individual piece. Rich and opulent flower arrangements are Diane Nittke's speciality, and her floral boutiques are like secret gardens in the city. Everything from their creative direction to execution is always flawless, just like their flowers: perfect if you’re looking for something decadent. Emma Baylis' floral business June in March specialises in local flowers with artistic flair. 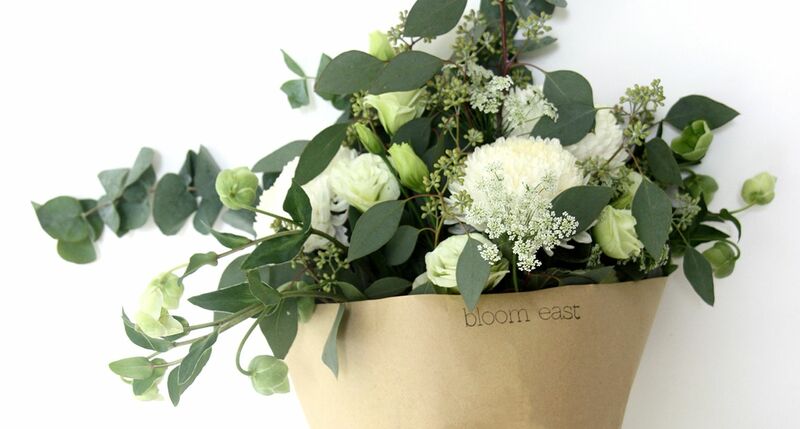 If you sign up to their subscription service you'll get a bouquet full of the finest local flowers wrapped in recycled brown paper dropped straight to your doorstep once a week. Emily's work for big galas and small fashion events has proven to be a big hit in Hong Kong: she uses an unusual mix of rustic and delicate flowers to create dramatic centrepieces and bouquets. Joyce’s work first came to our attention when her team turned a balcony into the hanging gardens of Babylon at the Lululemon Hong Kong launch party. Everything that comes out of the JF Floral Couture studio is new and different, ensuring no two events ever look the same. They do everything from botanical walls to traditional wedding bouquets beautifully and have worked with Dior Couture, Cartier and Jo Malone to name a few clients. If you’re looking for a better way to gift beautiful flowers quickly and efficiently, then look no further. BYDEAU was created by Jennifer to make gifting easy and swift. You can choose from a small but mighty catalogue of bouquets that range in price from $500-$1,200 and they also have the option of a monthly-flower subscription: they arrive fresh, stunning and within 24 hours. Bloom East's creative director and designer Anya Cluer has been working in the world of fashion and textiles for over 10 years. Anya's passion for flowers led to her retraining as a florist, and her new Lantau-based boutique offers Friday and Saturday delivery and event catering all over Hong Kong. With an eye for design, colour and the latest trends, don't miss out on their fresh and seasonal contemporary bouquets. Award-winning florist Dr. Solomon Leong has been featured in Elle, Cosmopolitan and Marie Claire and his prize cabinet is full to the brim. If you’re looking for something intricate from an expert, he’s the pro. He offers design services ranging from big events, such as weddings and corporate occasions, to small couture items such as bouquets and corsages. Unique to Hong Kong, Agnes B offer boxes, bouquets and displays for every occasion. Their new ‘Love Goes On’ range of preserved flowers is the perfect wedding gift: natural flowers specially treated with a secret solution to help retain their freshness and beauty for years to come. Flowers shouldn’t just be for special occasions: Comma Blooms have made it their mission to make every day special and brighten it up with flower subscriptions. Customise your bouquet, or let them pick from their seasonal selection of flowers to bring you or your loved one flowers once, twice, or four times a month. It’s an ideal gift for a friend, or a charming way brighten up your home. They also cater to weddings, corporate events, and stunning one-off bouquets.